Our summary of the results of the Active Travel Surveys taken earlier this year as part of the Council’s Healthy Tracks to School program – including new zebra crossings to be installed by June next year! We are really proud of the work that the Environment Sub Committee has done in this area and the commitment by the City of Port Phillip to Active Travel. Continuous improvements over the last few years not only make the walk or ride to school safer for our children, they also benefit our local community. We thank the Council for this initiative. 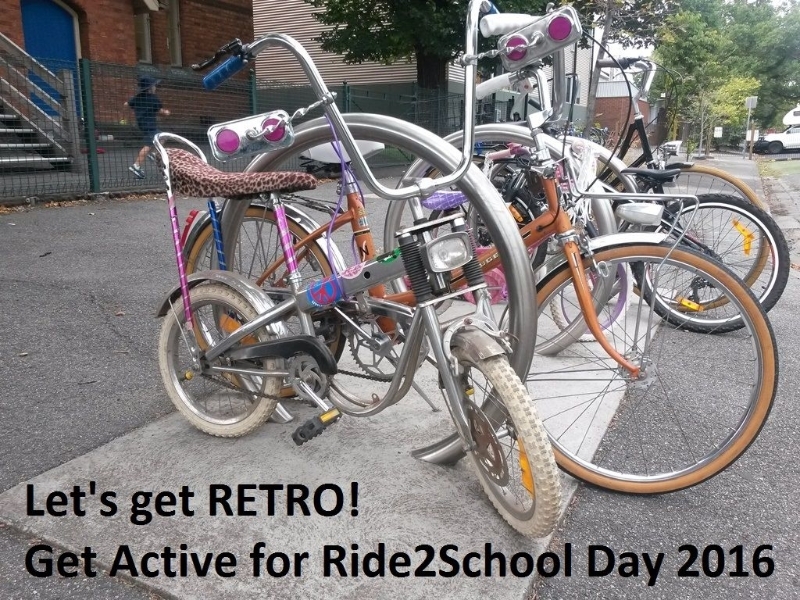 Our Let’s Go Retro – Let’s Get Active for Ride2School Day is this Friday 11th March. We are winding back the clock and dressing up to the 70's retro theme, based on the statistics that in the 1970s, eight out of ten students rode or walked to school. Today, that number has dropped to just two out of ten. And we are really excited to announce that our ACTIVEPaths will also be launched on Friday!! Clickhere to see the map and choose your favourite path for your walk/ride/scoot/skate to school. Meet at the start of your path at 8:20am, departing with your group at 8:30am. There'll be VIP guests, healthy second breakfast at school, and a special assembly at 9am - all welcome. And there are prizes so be in it to win it!! A fantastic film starring APPS students about the benefits of walking to school. Created by Steve Doyle (parent at APPS). Warning: There is a scene of free-range chickens in a suburban street.